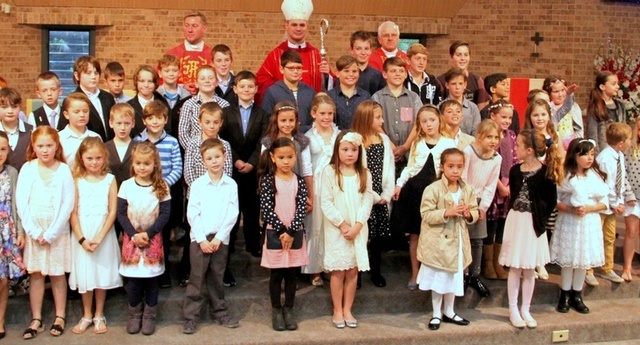 There is an extensive Liturgical program at our school, complemented by the Sacramental program within our parish, that allows our children’s faith to thrive. The sacraments of the Church were shown to, then given to us by Jesus as precious symbols of grace. These symbols allow us to actually see and feel God’s infinite care for all of us. Celebrating the sacraments is at the core of our parish life, and we extend an invitation to participate in our Sacramental Program to any child or family in our local community, not just those within our parish. Confirmation: occurs first, in Year 2,but is open to anyone over the age of 7 years. It is where we are given the precious gift of the Holy Spirit, as well as the gifts and fruits of the Holy Spirit that allow us to grow more deeply in our faith and our love of God and others. Reconciliation: (or contrition, penance, confession) is the process we take to reunite ourselves with God when we have sinned. It is a 3 step process: we reflect on what we have done wrong, confess our sins honestly to a priest and then finally tell him how truly sorry we are and how we will make “good” with God. For more comprehensive information on the seven beautiful sacraments of our Catholic faith we warmly invite you to go to our Parish Sacramental Program where enrolment forms can be downloaded. 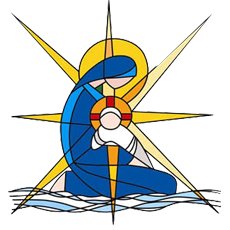 Associate – Janette Merrotsy at the Parish Office on (02) 4367 4610, who coordinates our Parish’s Sacramental Program. Our Sacramental Program is complemented well by a very full liturgical calendar within our parish for both our school and church communities. We are happy to say they both often overlap and invite you to read more about it here.